The S5 Image Slide module is demo'd to the left of the "Latest News From The Field". It is a responsive module that will automatically adjust to the width of any screen. Please note that IE7&8 do not support the necessary css syntaxes needed for the layout shown on this demo. Because of this position custom_1 will not be shown for these browsers. 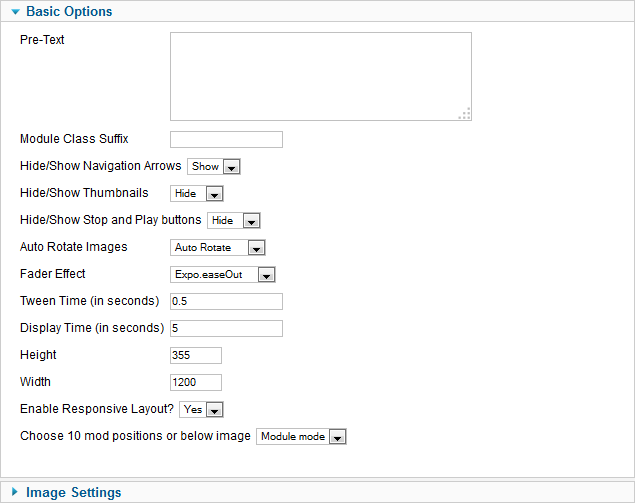 In its place you may use position custom_3, which is shown only on IE7&8, with your own custom html module.